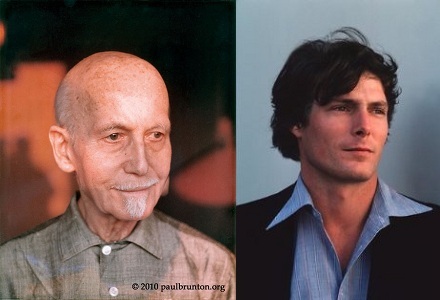 When Christopher Reeve was asked in a BBC interview which book he would want if stranded on a desert island, he replied "Discover Yourself [currently titled The Inner Reality] by the philosopher Paul Brunton." You can read the wonderful account of how these audio teachings came to be in the story below. The Inner Reality and The Secret Path are excellent guides to awaken to our spiritual self, or the Overself as Paul Brunton terms it. He is generally recognized as having introduced yoga and meditation to the West. His books have sold millions of copies all over the world and have been translated into 17 languages. Written with the passion of an authentic pioneer and the thoughtfulness of a seasoned practitioner, his writings are a guiding light for all seekers. Please note that Paul Brunton wrote in the literary convention of his time, using the masculine gender to refer to both male and female. We want to emphasize that his writings were intended for all. These following readings contain excerpts from The Inner Reality and The Secret Path. If you would like to read the full texts, they are available as books from Amazon.com. Up in the sky, look: It’s a bird, it’s a plane, it’s Superman! Faster than a speeding bullet, more powerful than a locomotive, able to leap tall buildings in a single bound. Tall, dark and handsome, muscular Christopher Reeve epitomized the ideal image of a superman, a physical super hero whom men strive to emulate and who evokes fantasies in the minds of women. It wasn't until much later in his career that he proved to be much more, a spiritual super hero as well. In an interview on England's BBC he was asked the question, "If you were stranded on a desert island what is the one book you would like to have with you?" He replied, "Discover Yourself by the philosopher Paul Brunton." It was later, at the request of the Paul Brunton Philosophic Foundation, that he recorded excerpts from Paul Brunton’s Discover Yourself (currently titled The Inner Reality), as well as another book by Brunton, The Secret Path. Some years before his life-changing accident, he flew his own plane to Ithaca, New York to make the recordings. Arriving at the Ithaca airport he commented on how good it was to be back in Ithaca again, home of Cornell University which he had attended until his final college year. He left because he was accepted to attend Julliard School of Performing Arts. At the lunch following the recording of the two tapes, he said that all of us are capable of unbelievable accomplishments, because the ability of the human being's spirit is limitless. This belief was to be sorely tested on May 1995 when a horse riding accident left him totally paralyzed. The spiritual quest on which The Inner Reality and The Secret Path take their readers is one that Christopher Reeve lived. His crippling physical limitations did not prevent him from plumbing the depths of his own spirituality to find meaning in his life, to live his beliefs and to have the courage to continue to make a difference in the lives of others. Despite his difficulty speaking and the embarrassment this might cause, he became internationally known by making frequent public appearances in support of research on spinal cord injury. In 1996 he founded the Christopher Reeve Foundation. It later included his wife Dana's name and was renamed the Christopher and Dana Reeve Spinal Cord Injury and Paralysis Foundation. It continues to this day and states its dedication to finding treatments and cures for paralysis caused by spinal cord injury and other neurological disorders. It also works to improve the quality of life for people living with disabilities. Those that he has been able to help are numbered in the thousands and his spirit continues to give hope not only to present day sufferers but to future thousands as well. Christopher Reeve is proof that the human spirit can triumph over seemingly insurmountable obstacles and can accomplish great acts of courage that benefit us all. “Well, believe it or not …while I don't believe in God, per se, I believe in spirituality. And I believe that spirituality actually is automatically within ourselves, but we have to learn how to access it, and what that is, is realizing there is a higher power. Christopher Reeve will not be the last actor to entertain the world with physical feats of super human strength but so much more valuable has been what he has given to us in his role as a super human being, a super spiritual hero for all time. For more information about the foundation Christopher and Dana Reeve created to help people with spinal cord injuries, see: christopherreeve.org. Please visit this site and help their work if possible. A special thanks to Christi Cox for introducing this recording.